I’ve had something of a revelation. And it involves skin tight black stockings. Or ‘leg warmers’ as they seem to be called in cyclo-world. 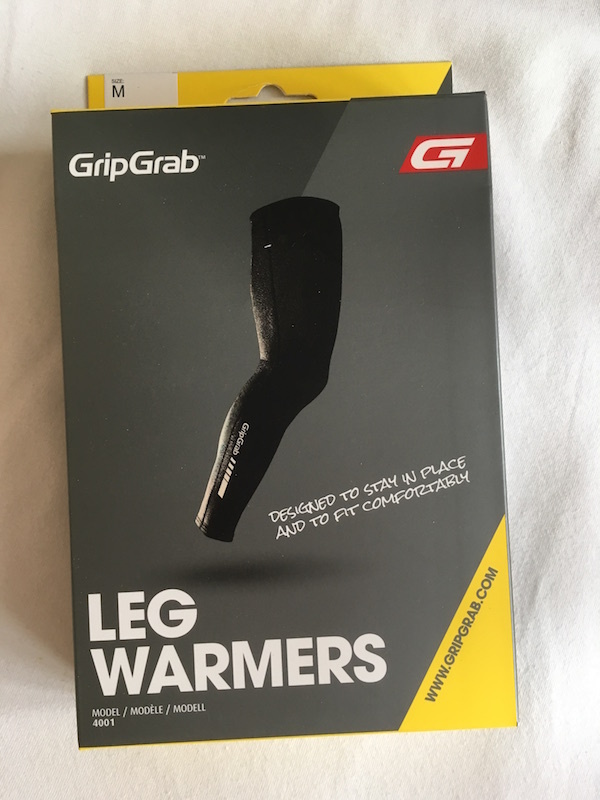 Whilst perusing the Wiggle site, I saw that these leg warmers from GripGrab were available in the sale. So I plunged. And I also bought a pair of leg warmers. Here are my (somewhat revelatory) thoughts. My relationship with tight black sheaths (for my legs) goes back over a decade. I used to wair a pair of unpadded waist tights under board shorts* whilst wintro-cyclo-commuting in London. * (Why? Because I was into surfing, that most London of sports). When I moved on to road cycling for road cycling’s sake (and became more comfortable with wearing lycra in public), I used to wear said waist tights over (padded) cycling shorts when the mercury fell. More recently, when those kind folk at Wiggle sent me a pair of thermal bib tights for review (and thus compromised my impartiality for ever), I’ve interspersed waist tight/bib short wearing with dedicated bib tight wearing. Until this past few weeks and the arrival of these Grip Grab leg warmers. Until I tried these leg warmers I was quite happy wearing tights over my bib shorts. And to be honest, I’m sure I could have gone on to lead a happy and fulfilling life without leg warmers. That said, having worn the GripGrabs a few times, there are a few things about leg warmers that I prefer over wearing waist tights (over bib shorts…). Waist tights can be a bit uncomfortable. Since they don’t have bib straps (which may or may not be what they’re called), tights need to be elasticated at the waist. Which can dig in to your skin. 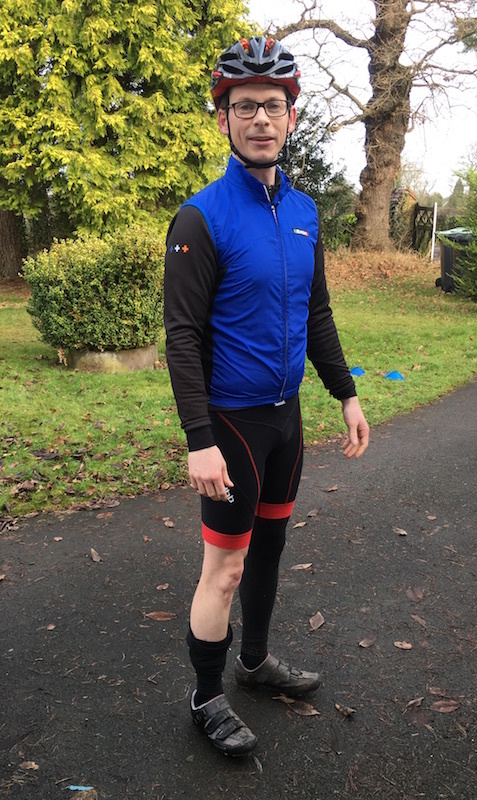 I’m sure wearing two layers of lycra is nice and warm (that’s layering, innit), but it can also, for me, feel quite constricting. And going to the toilet becomes one layer of lycra more difficult. Tights are a faff to put on. You need to pull them up and over your cycling shorts and then do some sort of hands-down-your-pants dance to flatten out your shorts after you’ve rolled them up into a large rubber band around your upper thigh. Leg warmers are much straightforward, being effectively long lycra socks with the feet cut off. Waist tights tend to be a very functional piece of clothing. They are not generally seen as a canvas for Paul Smith’s cyclo-designery musings. Both of my pairs are black. Whatever the musculature of your leg, simple black cycling tights do not tend to be flattering. On the other hand, black knees and lower legs can look quite smart when paired with cycling shorts that have a bit more colour detailing. By way of example, consider… me. Whilst the photos in this post (you’ll have to scroll down…) don’t evidence the legs of a cycling demi-god, what they do show is that wearing leg warmers means that you can still see the wide red bars at the bottom of the cycling shorts (which I believe are intended to accentuate the quads…), plus the red seams. (Conveniently) I can’t seem to find a photo of me wearing my old cycling tights. Safe to say, I would be a leading contender to win a sparrow legs of the year competition. 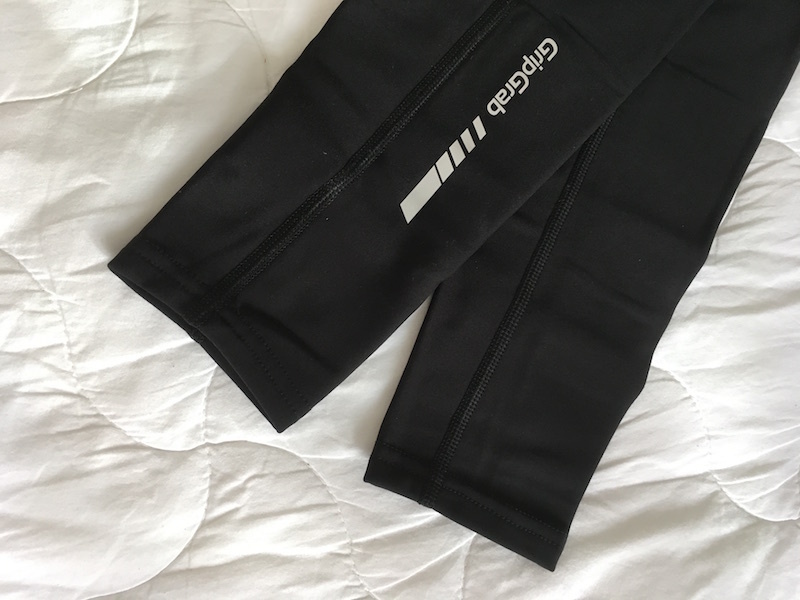 I haven’t actually taken advantage of this yet, but leg warmers are a flexibile addition to your riding wardrobe, particularly in the spring or autumn (fall…). As mentioned, they’re easy to put on and take off, making them perfect, say, for a longer ride that starts in the cool of the morning. Once the sun comes up and temperatures rise, the leg warmers can be taken off and easily stored in a jersey pocket. The case for leg warmers ’gainst bib tights is less clear, to me at least. 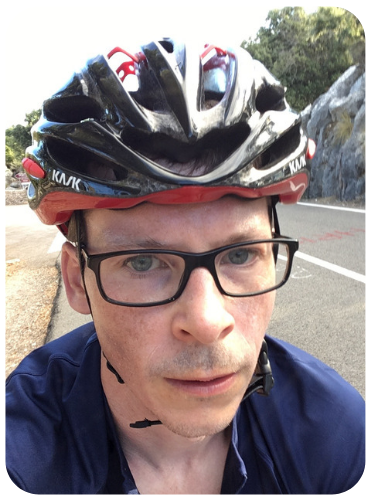 This might be because my only pair of bib tights (the aforementioned dhb ones – you know, which compromised my impartiality as a ‘journalist’) are thermal ones, made with furry-lined Roubaix lycra. The bib tights are for proper winter wear, when the temperature drops to a point when it’s only just sensible going out on the bike at all. I wouldn’t be considering leg warmers in such conditions (whilst the warmers may be insulated, the bib tights around my netherworlds are not). The two items therefore fulfil different roles in my winter wardrobe. The bib tights (mine at least) don’t suffer from the whole black pipe cleaner/legs confusion that my waist tights do. The bibbers comprise panels of black, grey and reddish-orange material. The brighter colour is once more strategically located towards the bottom of your correspondent’s thighs to (I surmise) emphasise (maybe sympathise… with?) quadriceps that (in fact) barely exist. I have, however, identified one advantage of the leg warmers versus the bib tights (and I appreciate that this might not be universal). Essentially bib tights are item number one to be put on, after your birthday suit. And even if you’re wearing some sort of base layer on your torso, your ‘antipodean birthday suit’ is very much on show. On show for the multiple minutes it takes to work the tight-fitting lycra all the way up your legs until, finally, once more, your (my) dignity is reinstated. I don’t know. It’s a faff. A faff with your ‘rear derailleur’ on show. And a faff that you avoid with the leg warmers. Here, phase 1 clothing application simply involves a pair of quick-to-apply bib shorts. Once your junk is in the padded trunk, the leg warmers can be occupied at your leisure. Many companies that make bib shorts and bib tights also make leg warmers (and indeed knee and arm warmers). 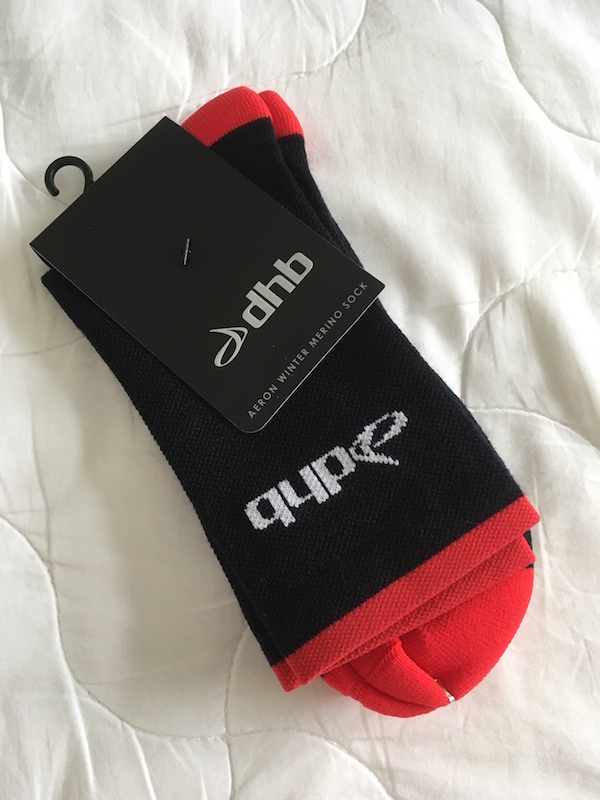 Given that I’m almost a sponsored rider (in my mind), I am contractually bound to mention the dhb ones (not really). Since I went (to a website) and bought some made by GripGrab, I may as well give them a shout out. A short canter through their website reveals that they are a Danish company founded by three brothers (I assume they’re brothers – they share the same surname), that make gloves and accessories for cycling and running. “Aqua repel” – water repellant to you or I. These also have a windproof panel on the front, protecting those sensitive shins and knees from getting too much of a chill. I don’t think there’s a great deal more one can say about leg warmer options (though I should mention that Castelli and Assos both do some expensive ones, if wrapping your legs in twenty pound notes floats your boats). As it turns out, leg warmers do not have many ‘features’. Essentially they’re just leg-shaped tubes, chiselled out of lycra (although the manufacturers will claim considerable designscience went into the construction of the various panels that form those tubes). Feature 1 occurs at the top end of the tube. Here we tend to find a band of grippy type stuff (silicon elastic in the case of my GripGrabs) around the hem that goes around your thighs. This (likely combined with a similar band on the inside of your cycling shorts) will hold the leg warmers in position. Feature 2 is… there is no feature 2 on my leg warmers. 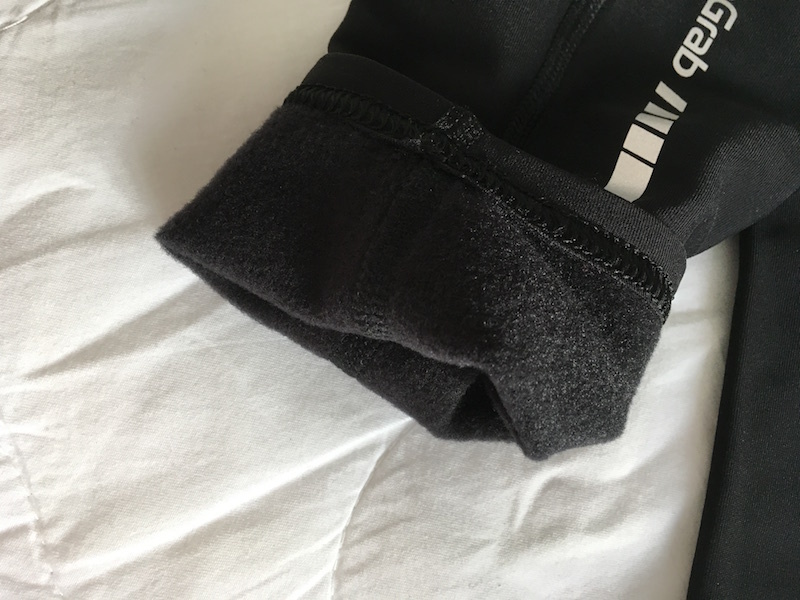 Some leg warmers do, like many bib tights, have zips at the bottom hem (like the aforementioned pricey ones from Castelli), presumably to help you get them on before tightening them around your lower calf. The GripGrabs make do with a simple stretchy cuff, which I have had absolutely no problem with (but then I don’t have a muscular calf – nor a fatted cow). Do You Want To See Some Photos Of Me In My Leg Warmers? Perhaps sir would like to see a photo demonstrating how the leg warmer blends in seamlessly (they do have seams) into my winter wardrobe? You will note how the red cuffs at the bottom of my cycling shorts emphasise my lower spud guns. That’s psychological innit. And now in more of a jaunty pose. A little European. Relaxed and ready for the riviera. You will note, of course, that I have gone ‘man down’ on my right leg. I would never do this when riding. Oh no, this risks both ridicule and injury, being periliously close to the front cogger (and you don’t want to get your warmer tangled in your cogger). I am, however, comfortable courting mere ridicule, and am therefore happy to ride with a warmer round the ankle of my left peg. What’s that? You like the look of those socks, standing out as they do in hi-viz black? Well you have good taste. And eyes. 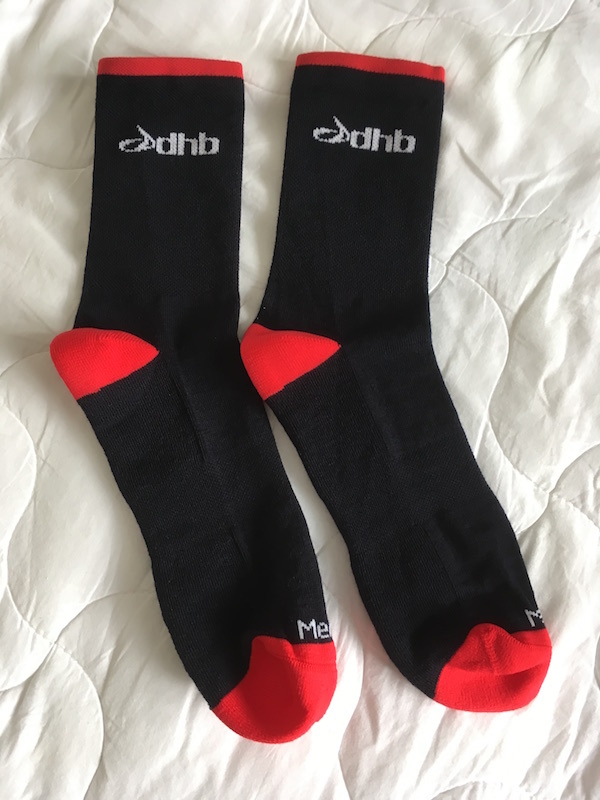 I bought the socks at the same time as the leg warmers, primarily because the leg warmers, being in the sale, weren’t expensive enough to qualify for free shipping (tsk, so American… free postage and packing). So I did the sensible thing and saved myself money by spending more money buying some comparatively expensive (for me) socks*. (I can count on one hand finger the number of times I’ve bought an individual pair of socks rather than a ‘multipack’). The socks are merino ones made by dhb (and, yes, I paid for them out of my own deep pockets, which involved quite a reach for my short Yorkshire arms). The merino (which I now read is a type of wool made from an ‘economically influential’ sheep?!?) makes the socks toastywarm. It also makes them prone to slight shrinkage ’pon washage, so be warned (and warmed). Here’s another photo. Of socks. Enjoy. I too have tried leg warmers and maybe yours were better than mine or mine are too big but they just would not stay up. And as luck would have it the first time I used them was in a Century. They came down almost immediately and I decided I would not stop (out of principle and hard headedness). So I rode most of the time trying to pull them up enough were they covered my knees and did not bind. So to add to your fine post I would suggest getting leg warmers that are snug. Thank you for all the information on leg warmers. I should, however, warn you to keep looking over your shoulder – the men in white coats will surely come for you after your “jaunty pose”! Anyway, I took your advice and bought a pair of leg warmers and went for a ride, only to find my legs melted away, leaving only tibia and fibula intact. I then remembered that I no longer live in Bath but moved to Australia 30 years ago. (Temperature in shade, 32 deg C. Temperature in leg warmers 132 deg C). So how about an article specially for your antipodean cousins? 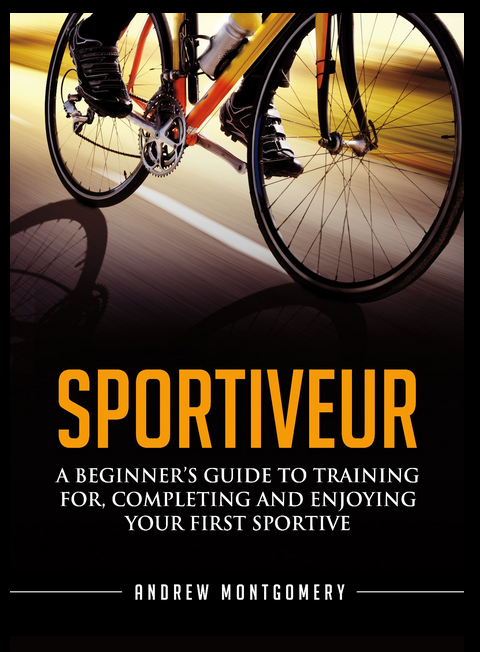 Might I suggest “How to ride in Speedos (aka Budgie Smugglers)”. But don’t try modelling them – that would definitely get you arrested! PS: Love your work as always. Tights have one huge advantage over leg warmers–they say up because they tighten at the waist. 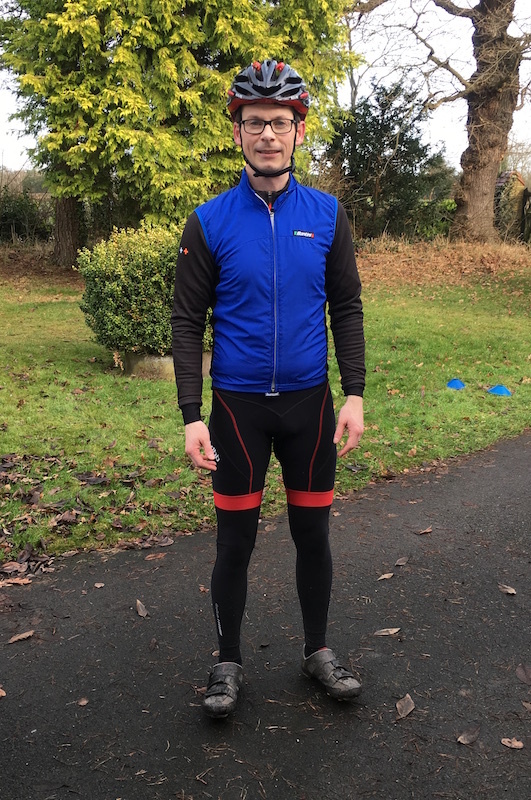 For people like myself–tall and skinny (slim would be more flattering but, lets face it, I am skinny)–neither leg warmers nor arm warmers will say up. Believe me, I have tried. So, for me it is tights and full jackets. A little harder to fold and stow as the weather warms up perhaps but I gladly trade that for crumpled Lycra around my ankles and elbow. I’m bound to add to your piece that a decent pair of winter bib tights (with padding) such as the Endura Windchill Biblong (around £80) have zips at the bottom of the legs that makes it so much easier to put them on and the water / wind resistance make a huge difference over slightly cheaper products. Needless to say, I did not buy these from the aforementioned store, in protest at their nonsense. Keep up the blog Monty, always appreciated! In the winter in California, it gets cold. Down into the high 20’sF in the mornings. So yes, I wear leg warmers. Have thought about tights but I’m about 5’8″ and often the ones that fit my waist and thighs are too long, and the ones that fit in length are too tight up top. So I stick to leg warmers. I’ll just pull them higher under my bike shorts, which works fine. As for socks, don’t get me started. I’m the author of Fixing Your Feet, a 6th edition book for athletes and love socks. There’s nothing like a good well-made pair of Merino wool socks to keep one’s feet warm. I compare socks and there are really good socks and cheap socks. It’s worth spending a free dollars more for a good pair.